These models are the iPhone X (10) and two kinds of iPhone 8 and the iPhone 8 plus. 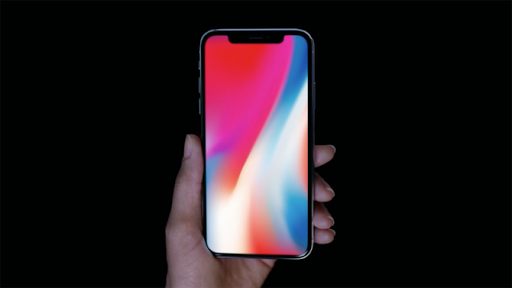 It’s weird that they did not realize an iPhone 9 but they do have their own beliefs so we’ll respect it, now to tell you guys what’s new in iPhone X as it has a lot of major innovations. Edge-to-edge screens – meaning the iPhone X will have the whole front as a screen and will contain no home buttons at the front. iOS 11 – with this new system, the operating system has added new features such as Apple Pay which will have a peer-to-peer system and a new and improved Control Centre! Wireless charging – now that it has been implemented in the Apple Watch, they will put it in the iPhones which will be innovative in the mobile industry. Super Retina display – iPhones now have screens that supports HDR and more, making you watching streams become more enjoyable than ever. New storage spaces limitations – 64 GB costs 999 British pound while the groundbreaking 256 GB storage costs 1,149 pound. Augmented reality – Apple upped its technology advantage by improving its AR Capacities with the ARKit software, Apple users can integrate AR with their phones, making improvements in life. Animoji – for those who like to put emojis in their messages, why not put animals to the mix. Animoji is Animal + Emoji so enjoy your new animal faces. That’s what the iPhone X has in store for us. It can be a game-changer or a meh product for you, so why not observe it and see if it’s worth your dollar? Technology keeps on enhancing so we better be updated to keep up, with iPhone upgrades though, while you stay up-to-date, make sure you have enough money to follow this passion of yours!